The Serenity Gatherings™ are themed events and resources dedicated to rest and relaxation, exclusively for women. Events are held in Milton Keynes, with resources available to purchase separately online for your private and personal use. For a full list of dates for 2019 click here. (These are subject to change). Click here for details of the online resources. 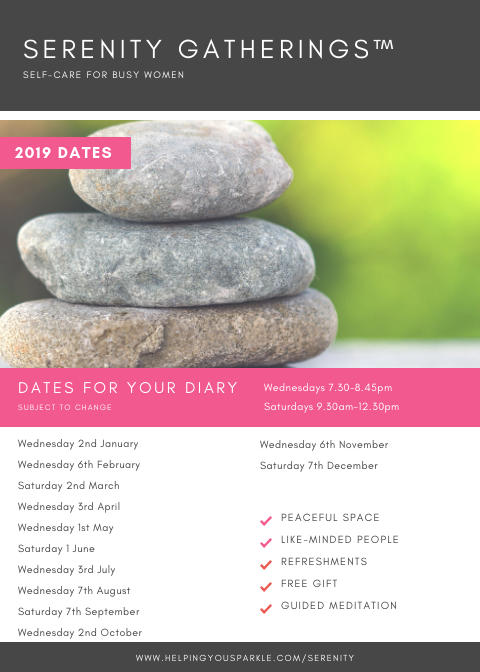 For details of forthcoming events, you can also sign up to the Serenity newsletter.